Cytomegalovirus (CMV) is the most common infectious cause of fetal malformations and childhood hearing loss. CMV is more common among socially disadvantaged groups, and geographically clusters in poor communities. The Area Deprivation Index (ADI) is a neighborhood-level index derived from census data that reflects material disadvantage. We performed a geospatial analysis to determine if ADI predicts the local odds of CMV seropositivity. We analyzed a dataset of 3527 women who had been tested for CMV antibodies during pregnancy. We used generalized additive models to analyze the spatial distribution of CMV seropositivity. Adjusted models included individual-level age and race and neighborhood-level ADI. Our dataset included 1955 CMV seropositive women, 1549 who were seronegative, and 23 with recent CMV infection based on low avidity CMV antibodies. 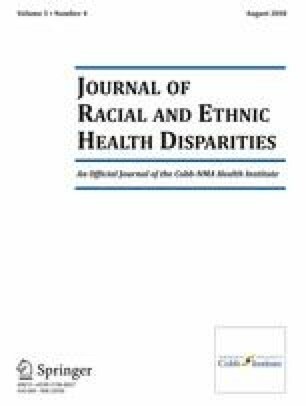 High ADI percentiles, representing greater neighborhood poverty, were significantly associated with the nonwhite race (48 vs. 22, p < 0.001) and CMV seropositivity (39 vs. 28, p < 0.001). Our unadjusted spatial models identified clustering of high CMV odds in poor, urban neighborhoods and clustering of low CMV odds in more affluent suburbs (local odds ratio 0.41 to 1.90). Adjustment for both individual race and neighborhood ADI largely eliminated this spatial variability. ADI remained a significant predictor of local CMV seroprevalence even after adjusting for individual race. Neighborhood-level poverty as measured by the ADI is a race-independent predictor of local CMV seroprevalence among pregnant women. The online version of this article (doi: 10.1007/s40615-017-0423-4) contains supplementary material, which is available to authorized users. Dr. Lantos was supported by the National Center for Advancing Translational Sciences of the NIH under award number KL2 TR001115. Dr. Permar was supported by the NIH Director’s New Innovator Award DP2 grant, number HD075699. Dr. Kind was supported by the National Institute on Minority Health and Health Disparities of the National Institutes of Health under award number R01MD010243. The contents of this article are solely the responsibility of the authors and do not necessarily represent the official view of the NIH. All procedures performed in studies involving human participants were in accordance with the ethical standards of the institutional and/or national research committee and with the 1964 Helsinki declaration and its later amendments or comparable ethical standards. This study was approved by the Duke University Institutional Review Board. A waiver of Informed consent was granted for this retrospective study. Measures were taken to secure confidential subject data in compliance with HIPAA and with standards for confidential patient data by Duke University School of Medicine and Duke Health Technology Solutions.